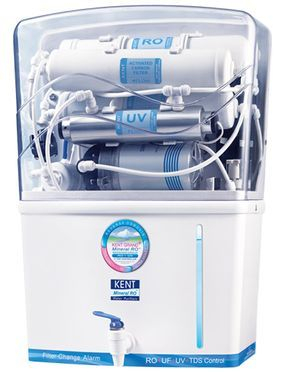 KENT WATER PURIFIER | KENT WATER PURIFIER PRICE | KENT RO WATER PURIFIER | KENT WATER PURIFIER IN KOLKATA | nxUj7nvh0uM6YF0CnMV2-gXadk4 - WHY KENT? 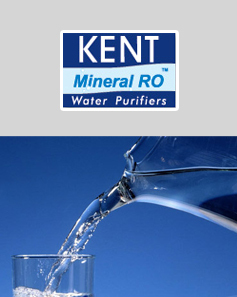 WHY KENT IS NO.1 WATER PURIFIER IN INDIA? There are 50 reasons why KENT RO purifier is considered simply the best. The fact that it makes your water The Purest water is just one of them. For the rest, simply turn the pages over and find it out yourself. 1. It makes the purest water. 2. Mineral RO Technology RO+UV+UF+TDS Control. 3. Removes even dissolved impurities like Arsenic, Fluoride, Heavy Metals & Rust. 4. Removes Bactrria & Viruses. 5. Removes Cyst as well. 6. Carbon Block for removal of VOC. 8. Protects from inlet water supply failure. 9. Fully automatic with auto off and on. 13. Provides total protection from water borne diseases. 14. Maintains essential natural minwrals. 15. Makes water purer than boled water. 16. Makes water 100% healthy water. 17. Makes water tasty & sweet. 19. Purifies even brewell & overhead tank water. 20. Purifies tap water as well. 21. Less wastage of water compared to other RO purifiers. 26. 1 Year membrane warranty. 27. Purified water level indicator. 28. High water storage capacity - upto 8 Ltrs. 32. Ideal for homes and offices. 34. Non - Breakable ABS construction. 35. Corrosion - free components. 36. Widest range to choose from. 38. Easy - to - operate. 39. Easy - to - maintain. 41. Efficient after sales service. 43. Spin welded & Pilfer - proof membrane. 44. Spin welded sediment & carbon filter. 45. Built - in SMPS. 47. WQA, USA Gold Seal Certified. 49. Meets the 'Safe Drinking Water Standards'. 50. Best domestic water purifier award.